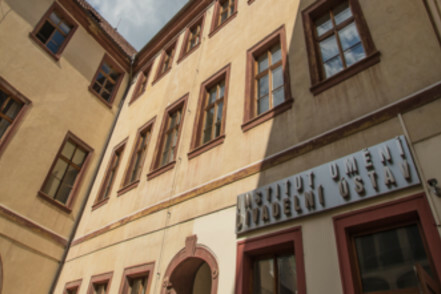 The Arts and Theatre Institute is located in Manhart (also Menhart) Palace, a unique baroque building on Celetná street in Prague. 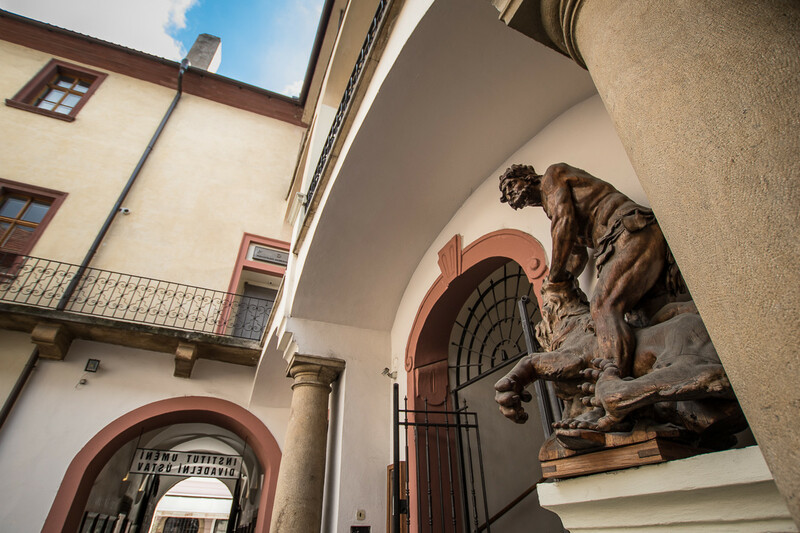 The palace has an early baroque two-tone façade and at the base of the stairs leading to the entrance of the building there is a wood sculpture of Hercules and the Lion from the mid-18th century, which is probably the work of the late baroque sculptor and woodcarver Lazar Widmann. 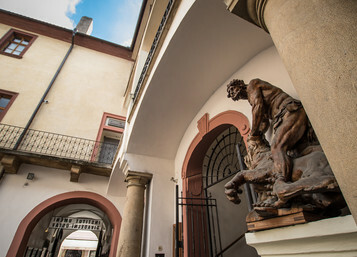 There used to be a sandstone replica of Matyáš Bernard Braun’s sculpture Carelessness in the palace courtyard, but it was in terrible technical condition was removed in 2013. 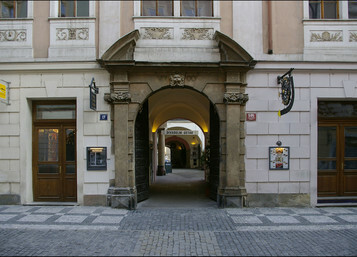 The palace was created out of two buildings, on Celetná and Štupartská streets, that were joined together. 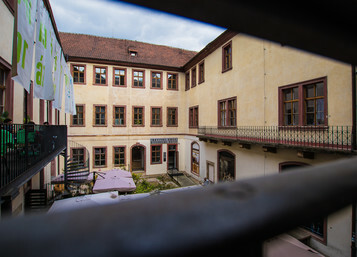 In the course of its complicated structural history the palace acquired gothic and renaissance features, but it obtained its current baroque appearance from the architect Vít Kaňka and his son around the year 1700. The building has a long history of association with the theatre. 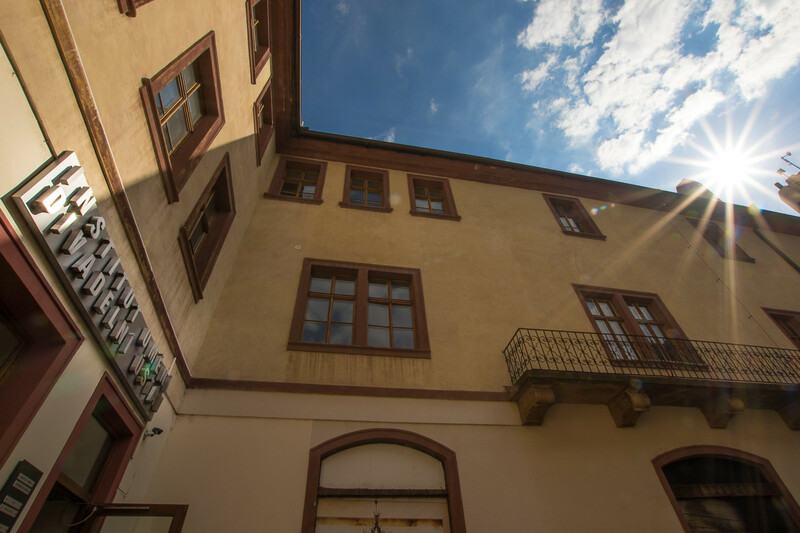 In 1706 the building became the property of Jan Bedřich Manhart, a feudal and crown court judge, from whom the palace acquired its name. 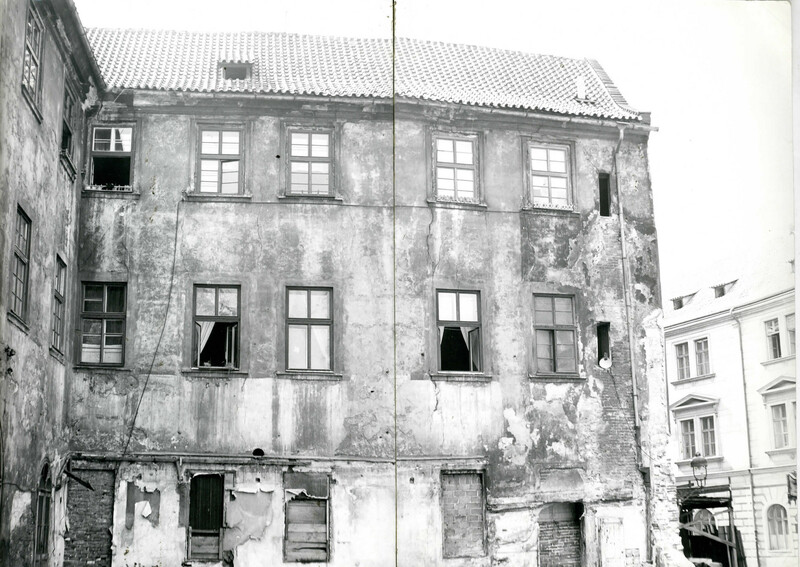 Manhart set aside some of the rooms in the palace for public balls and productions. 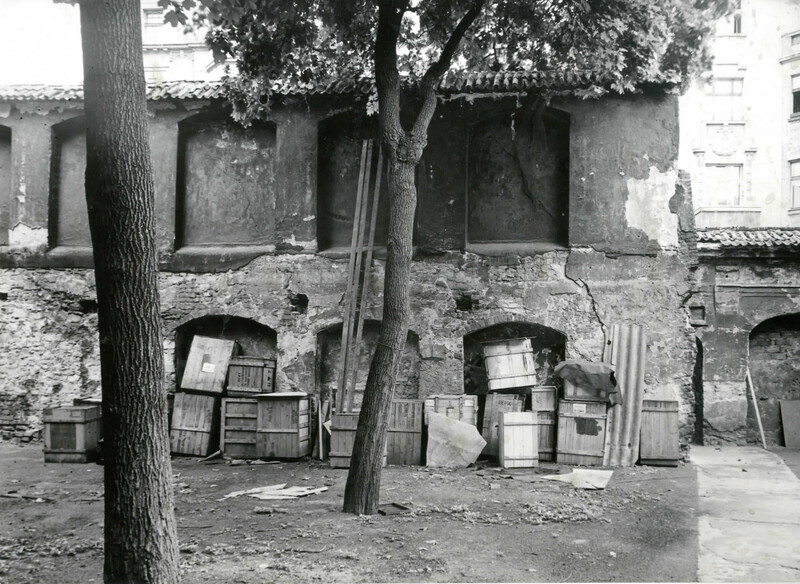 He died several years after acquiring the palace, however, and his widow began to lease a hall on the ground floor in the western section of the building to itinerant troupes of actors. 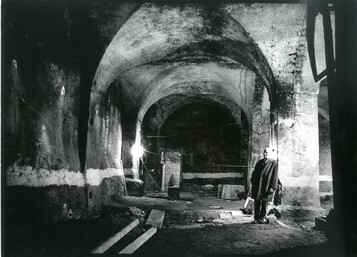 From 1717 to 1736 the space was used for example by Johann France Seppe’s group, Bonne and his flying men and tightrope walkers, German players led by Johann Heinrich Brunius, and Tommaso Ristori’s commedia dell’arte troupe. 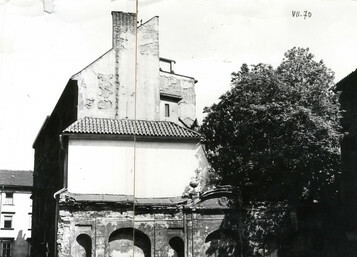 In 1730 Manhart’s widow sold the palace to Freiherr František Mikuláš. 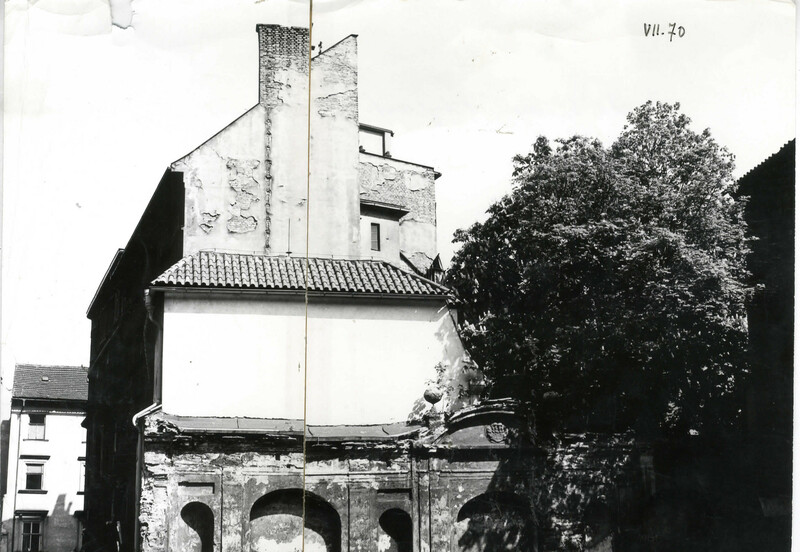 He commissioned the famous Prague fresco painter Jan Petr Molitor to create the palace’s wall paintings. 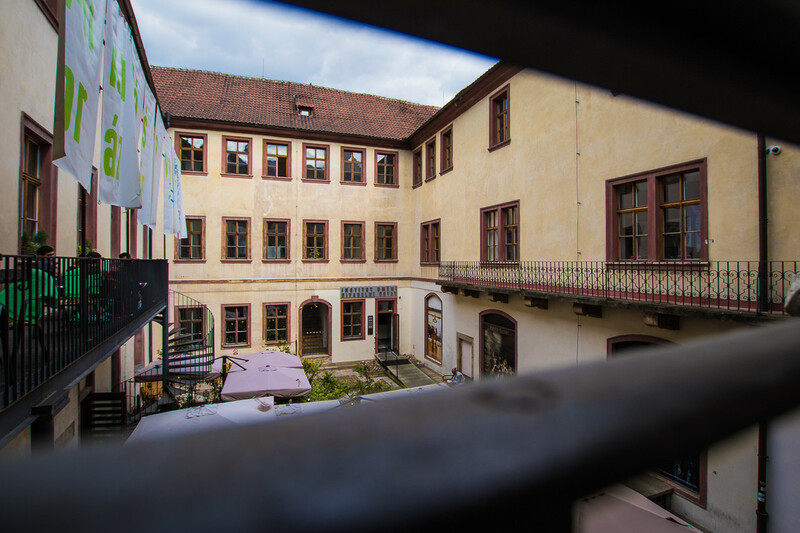 In 1752 the palace was bought by the Piarists who opened a Piarist college in it, headed by Czech historian and priest Gelasius Dobner as its ‘praefekt’. 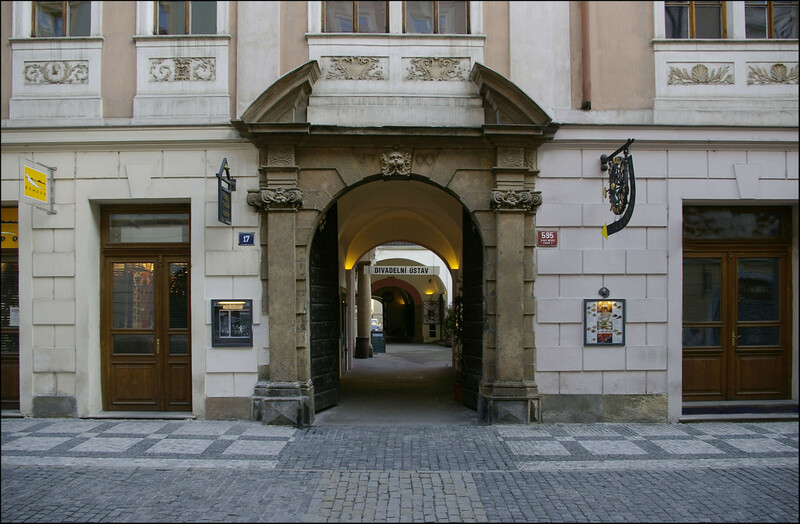 The Piarists sold Manhart palace in 1780 to Jan Václav Sacher, a silk merchant, who set up a silk factory in the building. Around the same time a shop selling imported goods was opened on the ground floor. The building acquired the name of its new owner and for a time came to be known as Sacher House. In the late 1970s the building underwent extensive renovation work and was adapted for use by the Arts and Theatre Institute (at that time the Theatre Institute), which is still there today, tying in with the theatrical history associated with this site. 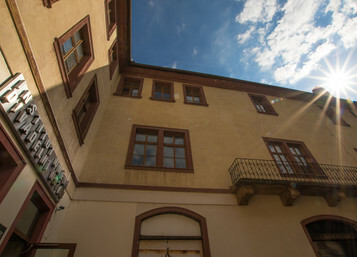 Manhart Palace has been a listed cultural monument since 1958.